When the tears leave your eyes? Remember when you told me? When the light leaves your eyes? 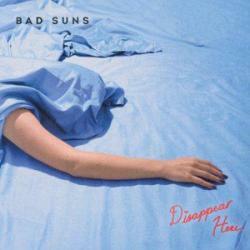 OFF SHE GOES es una canción de Bad Suns. La letra ha sido escrita por Raymond Torrey Libby, Miles Scott Atkins Kottak, Christopher Michael Bowman, Gavin Austin Bennett; publicada por Kobalt Music Publishing Ltd., Warner/Chappell Music, Inc..